Reasons why you should consider getting a cat water fountain. 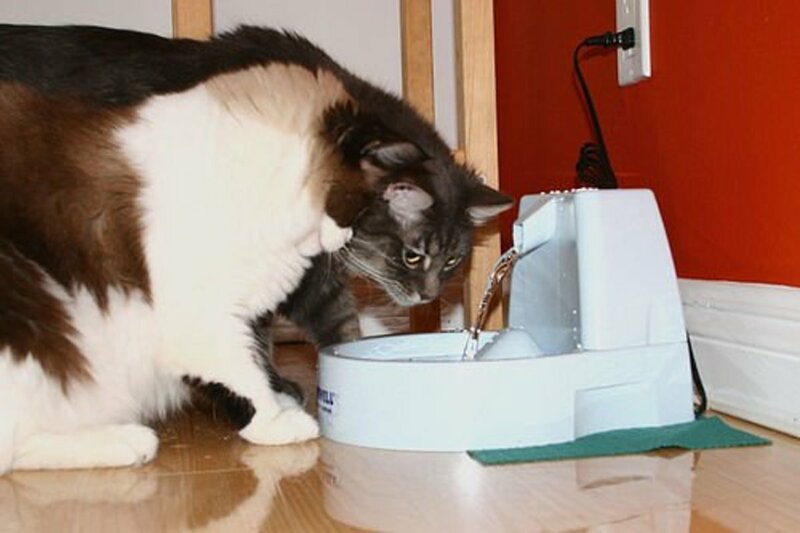 Whether ceramic or stainless steel pet fountains make a better choice for your cat (or dog). I hope to persuade you on the basis of Veterinary recommendation, as I have read cat drinking fountain reviews that were just interested in selling! As a result my research into cat fountains for this article, I hope I will be able to demonstrate to you the benefits for both you and your cat of a cat drinking fountain and the type that is not only the most beneficial but also the easiest to clean and to maintain. You may think that a cat fountain, providing running water for your cat to drink sounds like a bit of a luxury. However, there are good reasons why vets recommend the provision of a constant supply of running water for your cat but at the same time, you need to know which features to look for and which to avoid. 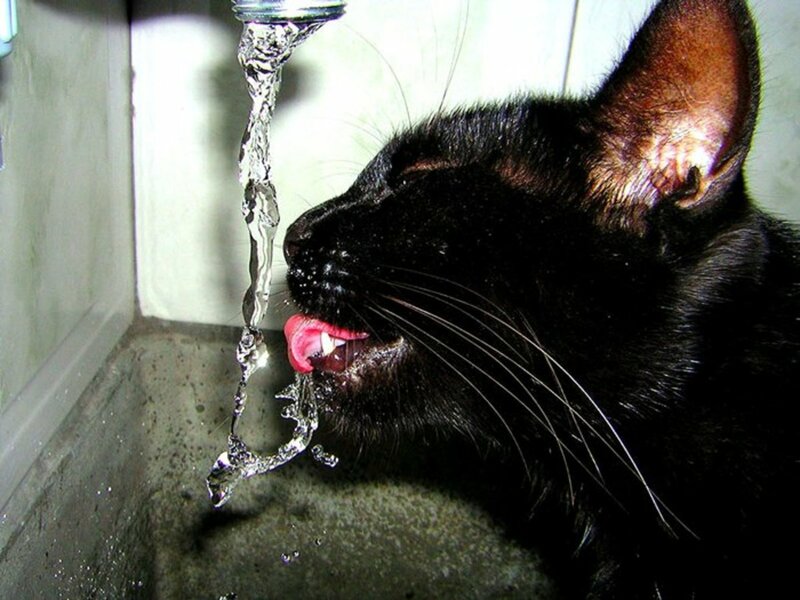 Cats instinctively like to drink running water. This probably dates back to the time when cats were wild and had to fend for themselves. Running water is likely to be fresher and healthier than standing water and this love of running water is very likely to manifest itself in your cat trying to drink out of the faucet! By providing running water, you are encouraging your cat to drink. Many cats nowadays eat a dry food diet and drinking plenty of water is vital for keeping him healthy, avoiding urinary tract infections, preventing kidney problems and generally making him feel better. What Features Should I Look for in the Best Cat Water Fountains? From my research, I would say that the plastic ones are best avoided. 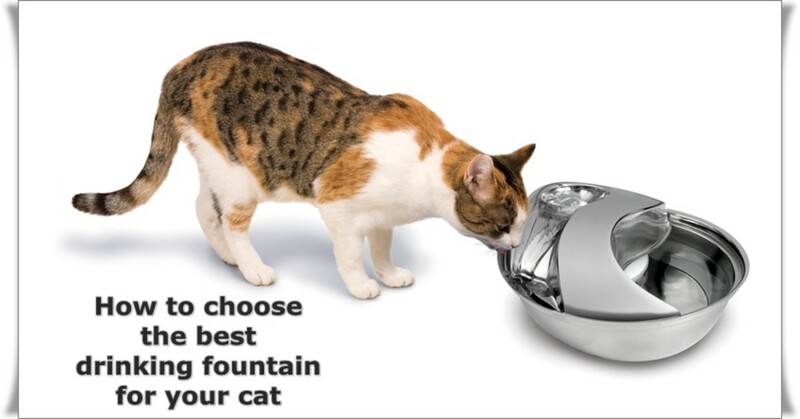 You should choose a ceramic or a stainless steel cat fountain. The reason for this is that plastic can easily become scratched and these scratches can harbor bacteria. Cats are very prone to a condition called feline acne(1) which results from coming into contact with the bacteria that can lurk unseen in scratches on plastic water and feed bowls. This is an unpleasant and distressing condition for your cat and one which is going to land you a vet bill to get cleared up. Cats are easily frightened so the best water fountain for cats will have a very quiet pump that will not frighten your cat or discourage him from drinking. It goes without saying that you need to find a model that is very easy to maintain. There is no point getting something that needs to be taken apart every couple of days and cleaned out with brushes and all sorts of paraphernalia – you just want something that can be washed easily – and preferably popped in the dishwasher. Here is a useful link if you would like to find out more about the problem of Feline Acne in cats mentioned above. (1) “Feline Acne: Signs, Diagnosis, and Treatment of Chin 'Blackheads' in Cats.” Pet Education Cats, www.peteducation.com/article.cfm?c=1%2B2141&aid=2517. Accessed 23 Aug. 2017. 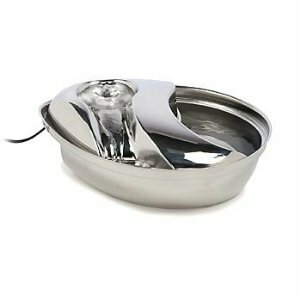 Why Do I Recommend the Pioneer Pet Fountain? The whole unit is very easy to clean once you have removed the pump unit which just sits on the base under the top section by means of suction cups. 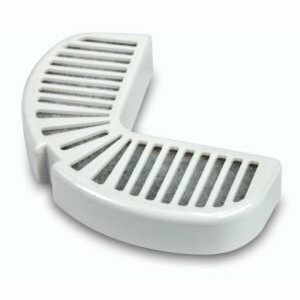 The ceramic parts (or the stainless steel if you have chosen this option) can easily be washed by hand and can be popped into the dishwasher if required. The video below is a perfect demonstration of this model so I will just briefly highlight the features for you and you can watch the video to see the cat fountain in action and how easy it is to take apart to change the filter and to clean. The Pioneer Pet fountain filters contain charcoal, ensuring that the water is always pure and clear for your cat. They are extremely quick and easy to change and are inexpensive when compared to some other brands. Buying them in triple packs of replacement filters like this pack, represents excellent value and ensures you will always have a 'spare' if needed. 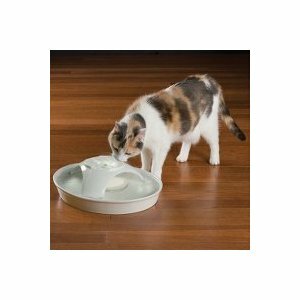 "The Pioneer Pet Raindrop Pet Fountain is sized reasonably, the water flows down the ramp and into the "still water" area, and is very quiet. Our cats drink from both the sill area as well as the top of the water flow. 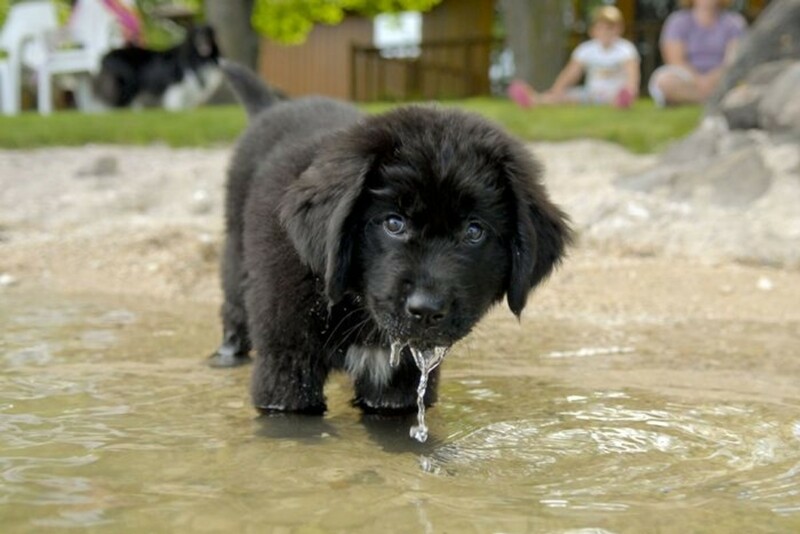 Our puppy loves to drink the water as it falls down the ramp." "This is a great fountain. All four of our cats love it. We had been using a Drinkwell 360, but one of our cats developed severe chin acne so we had to restrict her access to plastic dishes." The simple skin turgor test in the video above could potentially save your cat's life by helping you to recognize dehydration and take action promptly. 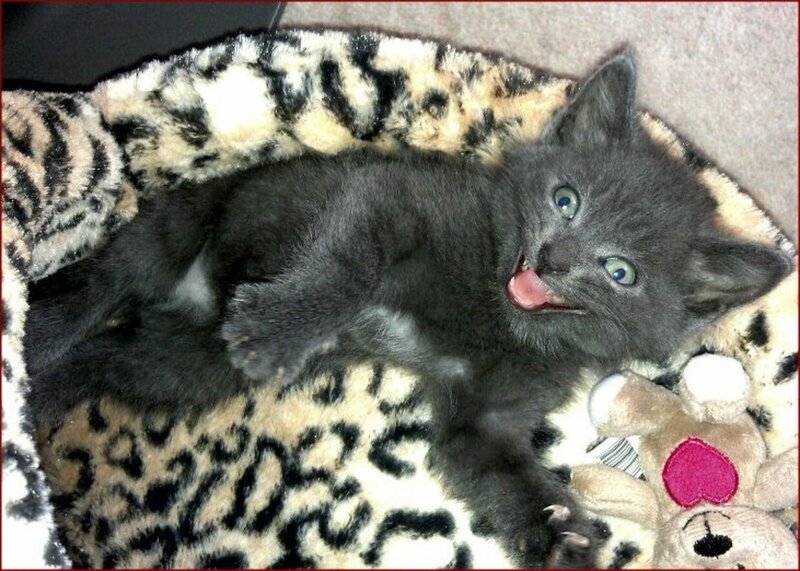 Did You Find Our Cat Water Fountain Review Helpful? 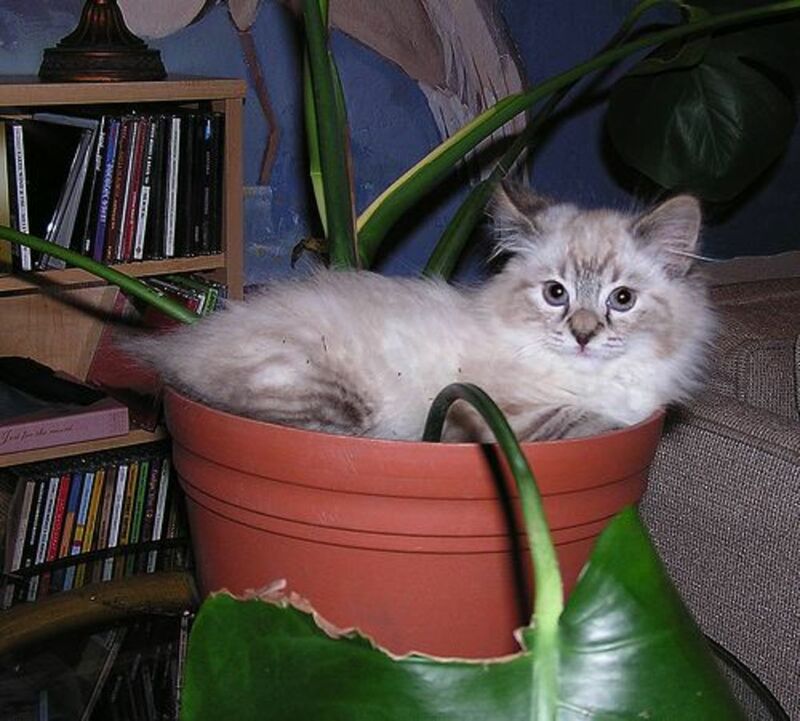 I hope you have enjoyed reading about the benefits of cat fountains for you and your cat and that you found it helpful to read about the features to look for if you are considering purchasing one. 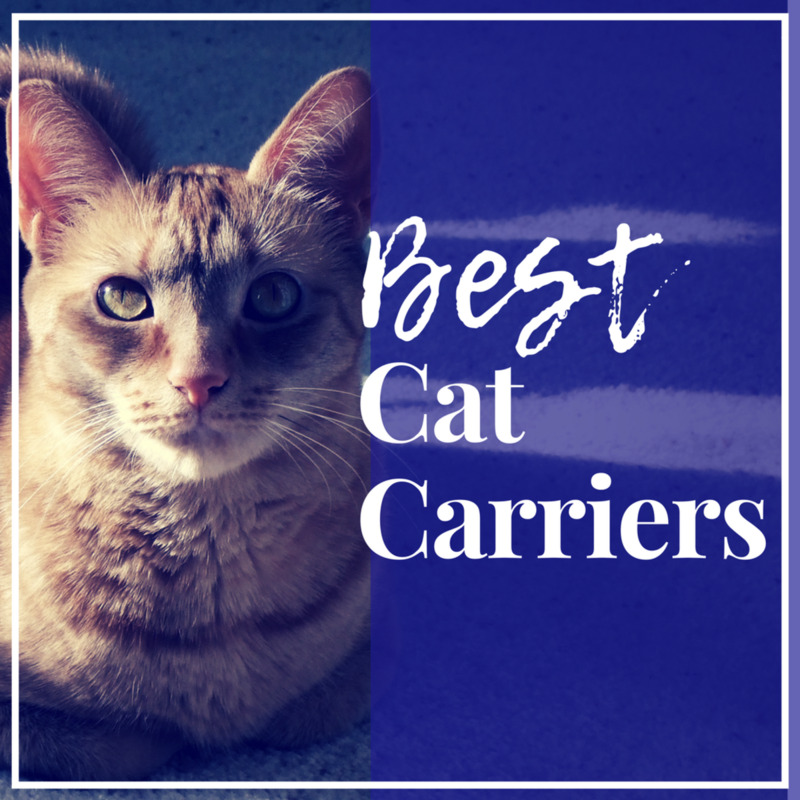 The bottom line is, all cats love to drink running water and some cats need some persuasion to ensure they remain adequately hydrated, especially if they are on a dry food diet. Buying a suitable drinking water fountain for your cat is an expense, for sure, but it could save you money on Vet's bills in the long term and help to ensure your cat remains free of the health problems associated with dehydration such as kidney problems. What a rascal! I expect you have already tried most potentaial solutions without success - but possibly some suction cup feet or a non slip silicon mat under your present bowl? A ceramic bowl would certainly be heavier than plastic and therefore harder for him to pull. He sounds very resourceful, so I am not sure whether he would be able to remove anything he should not. Providing him with alternative 'toys' to pull and/or push around, may distract him from messing with the water bowl. One of my cats loves to pull the water bowl all over the house (or as far as the cord will allow). We have a plastic one right now with a plastic cover for the fountain and he has figured out how to remove the top and spills water all over the house. I took that fountain away and put a water bowl on a mat, he pulls the mat all over the house spilling the water everywhere. All I can think is terrible two toddler! My question for this fountain is will he be able to remove any parts and how easy will it be for him to drag it or dump it? Hi Barbara, I checked with the media and public relations department at Pioneer Pet just to be sure, in case there was a change I did not know about before I replied. They confirm that there is a lever by the pump that will adjust the speed of the water and enable the pump to run very quietly. If you have any problems locating it, please go to their website and use the contact form to get in touch. They are such helpful people there, one of the reasons I love this company. Thanks for your comment Marie and it is good to have a first-hand report of the efficacy of providing running water in the prevention and treatment of urinary tract infections in cats. Vets recommend these fountains as a way of encouraging cats to drink more water which is especially important in old or infirm animals and for any cat that has a largely 'dry food' diet. I happened upon this hub while searching for inspiration for a short-story challenge with the prompt "fountain." Not sure I have my story yet, but I'm glad to read here. My cats have always enjoyed drinking from fountains. Although I haven't used the brand recommended here, I usually have some way for them to drink running water--either from a fountain or directly from the faucet. It seems to help with UTI issues. Thanks so much for your comment Vera, I hope your friend chooses to buy one of these pet fountains for her cat, much more environmentally friendly (and cheaper) than leaving the tap running! My friend's cat likes to drink running tap water, but it's kind of costly to keep tap water running for a cat. :) I'll send her this hub. Thanks for your comment MizBejabbers - the point you make about ceramic bowls is a valid one - especially with ceramic floor tiles! Glad you found the article useful. Thanks for the warning about the feline acne. My husband bought two self-watering plastic water fountains for the cats and they loved them. He has been considering buying a larger fountain, and I think the stainless steel electric is the way to go. The ceramic wouldn't last around our house. We converted to all plastic because we we have ceramic tile floors and were replacing ceramic food bowls weekly. We had gone to some stainless steel food bowls, and now we definitely have to replace the rest of the plastic after your warning. Kris, thank you for your interesting comment and the points you raise. No, I do not have further information on this topic but it is something that I will research. I did however, write another article here on hubpages about drinking fountains for dogs and you might find this helpful (https://hubpages.com/hub/How-To-Choose-The-Best-Do... however, I have not addressed the issues you highlighted about hair and food particles so I need to look into this. I am currently in school studying to become a CVT/LVT, and have a clear understanding of the importance of water in any animals diet. I have been using pet fountains for years, and think that it is an essential component of pet care. I was hoping for more information regarding different brands and models of pet fountains. My primary issue in a multi-pet household (currently 2 dogs and 3 cats) is a pump and filter that can deal with pet hair. I find that most of the time the hair just floats on top and small particles of food sit on the bottom due to inadequate strength of the pump. The hair and food are actually removed from the water gets stuck to the outside of the pump. This makes a lot of noise. Not to mention, clogging the pump results in going through pumps a lot faster than normal, unless you have the time to disassemble and clean these components every day! Do you have information on any other products besides the Pioneer? And any information about the hair and food issues? Very interesting indeed. Voted up and I look forward to so many more. 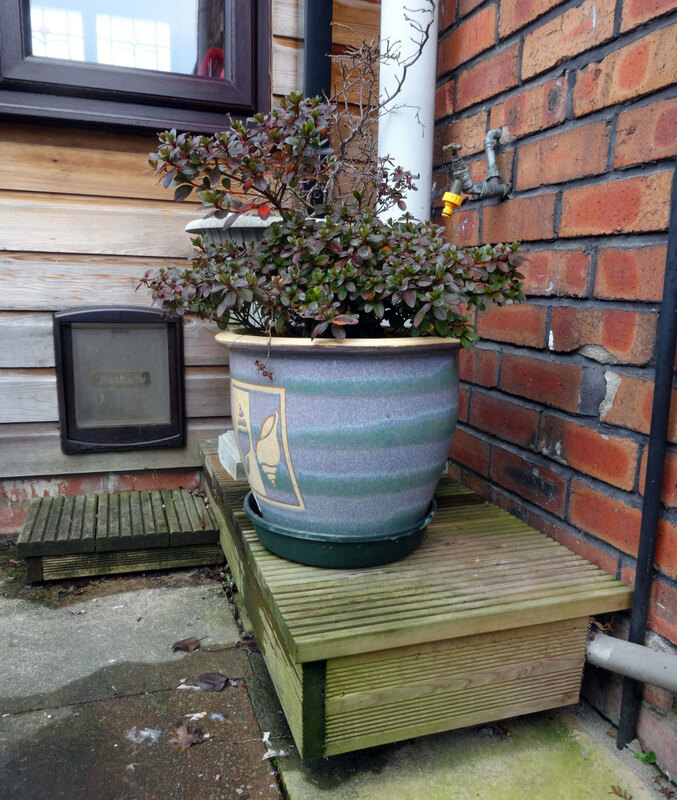 Thank you FlourishAnyway - so pleased to hear that your cats already have a drinking fountain - it is a great way to encourage them to drink sufficient water to stay healthy! Thanks for this review. I have 5 indoor cats and currently one fountain (plastic unfortunately but it's worked well we think). We are interested in getting another cat fountain and did not want to splurge and just get two fountains, not knowing whether they would use a fountain, but alas it's a big success to have constantly running water. They love it. After reading your hub, our second fountain will be ceramic or stainless as recommended. Many thanks. Meow. 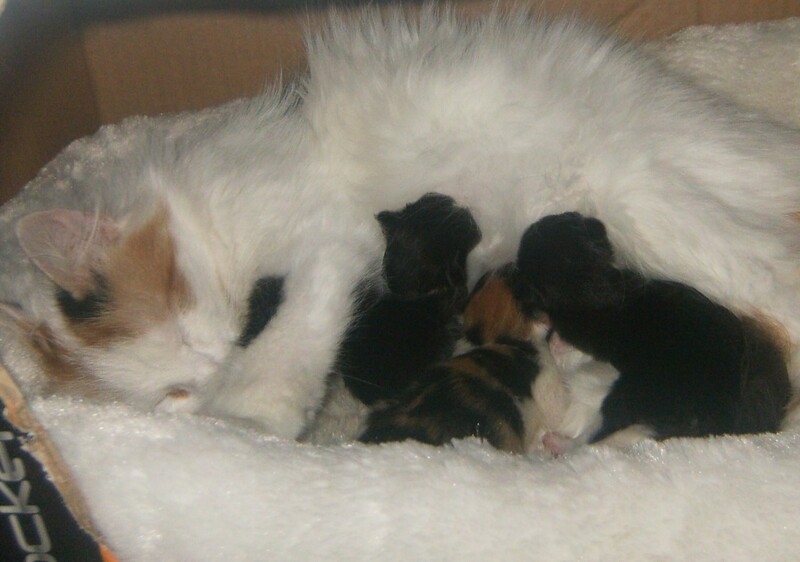 Hi Kristy, I have been thinking of doing a hub on the best cat bowls as you are right, it is important to have something that a cat will be happy to use but at the same time, vital to keep hygiene a top priority. So at present, I cannot make a recommendation but - watch this space - as they say and thank you so much for your comment. Thank you for this information. 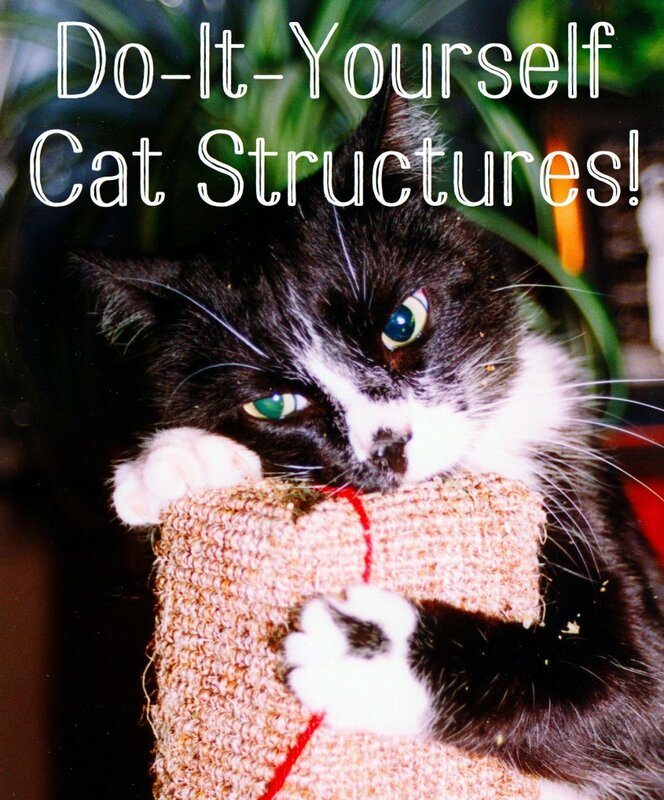 My husband and I have two amazing cats, and I'm always trying to figure out new ways to keep them interested and healthy. I think getting them a fountain may help. 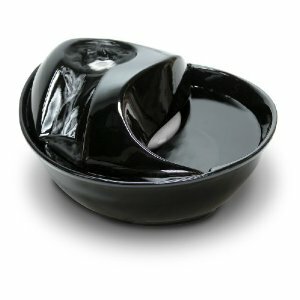 This may sound a bit strange, but do you have any ideas about the best food bowls? I just want something that they'll be comfortable with, but that also is germ & bacteria-free. I obviously wash they're current dish frequently, but I still worry about my bubbies. Hah. Thank you again. This is why I am recommending the Drinkwell Pet Fountain kdavitt - I know from personal experience that it is well made, robust, easy to clean and that the filters are easy to get hold of and not expensive either! People need to know about ceramic cat drinking fountains. Type in ceramic cat fountain into a google search and see what you find. Those made in China are questionable at best and there are very few high quality cat fountains made in America - but there are a few. I did not know that Cats like to drink running water. I enjoyed reading your review its awesome. Thanks RTalloni, I really appreciate your comment and the encouragement! thanks aries3296, the filters are readily available and inexpensive. For a cat lover this is pretty cool, especially if it is easy to obtain the needed accessories. Hi amillar, yes it is a good idea to check on the price of the water filters and the frequency with which they need changing on the cat fountain you choose.